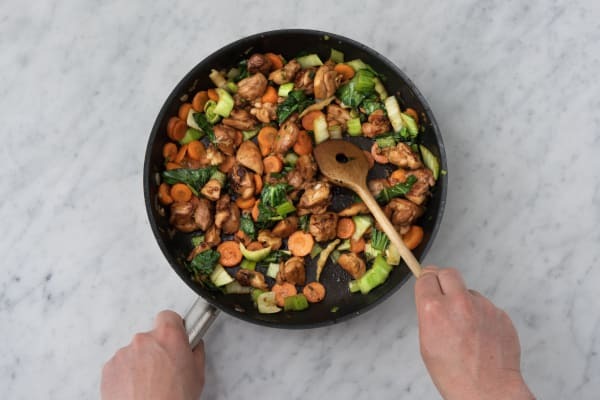 This is a very special stir fry with plenty of easy flavours everyone will love. 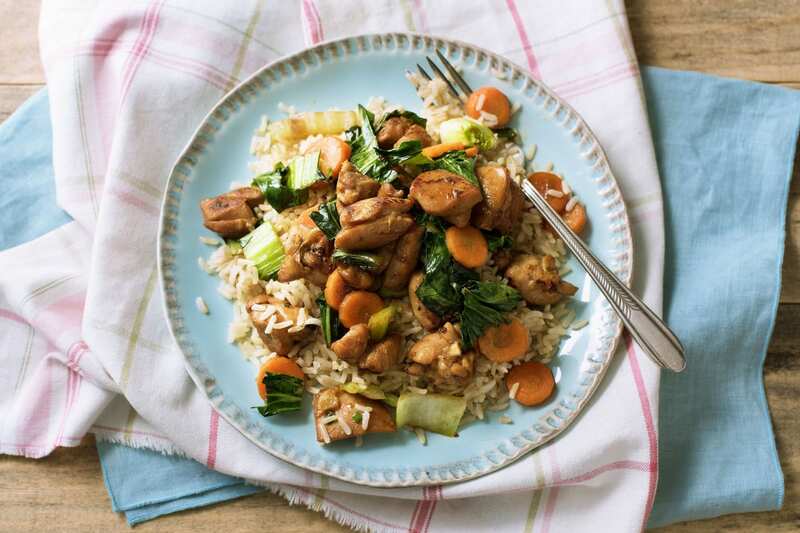 With little tender baby bok choy, crisp carrot and sizzling teriyaki moist chicken all on a bed of pillowy jasmine rice, this quick supper proves that healthy can still be tasty. To prepare the ingredients, rinse the Jasmine rice well. Peel and crush the garlic, and peel and finely grate the ginger. Chop the chicken thighs into 2 cm pieces. Peel the carrots and cut into thin discs. Finely slice the spring onions and long red chilli (deseed), and chop the baby bok choy. Place the Jasmine rice and water in a medium pot and bring to the boil. Cover with a lid and reduce the heat to medium. Simmer, uncovered, for 10-12 minutes or until the rice is tender. Drain. Meanwhile, in a medium bowl combine the garlic, ginger, salt-reduced soy sauce, honey and warm water. 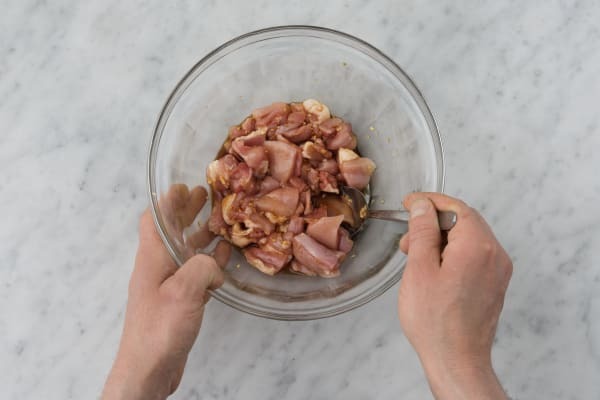 Add the chicken thighs and toss to coat well in the marinade. 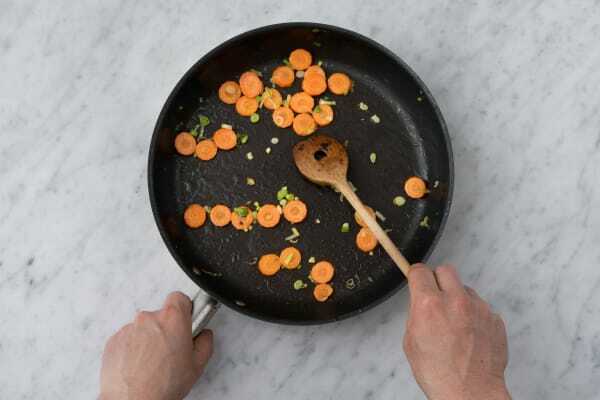 Heat the vegetable oil in a large wok or frying pan over a high heat. Add the marinated chicken in two batches allowing any excess marinade to drip back into the bowl. Cook the chicken for 3-4 minutes, or until browned and cooked through, and then remove from the wok. Add the carrot and half the spring onion to the wok and cook for 2-3 minutes. Return the chicken to the pan with any excess marinade and the sliced baby bok choy. Cook for 1 minute or until the baby bok choy has wilted. To serve, divide the Jasmine rice between bowls. Top with the teriyaki chicken and any teriyaki sauce still in the pan. Garnish with the remaining spring onion and fresh long red chilli, if you like. Enjoy!